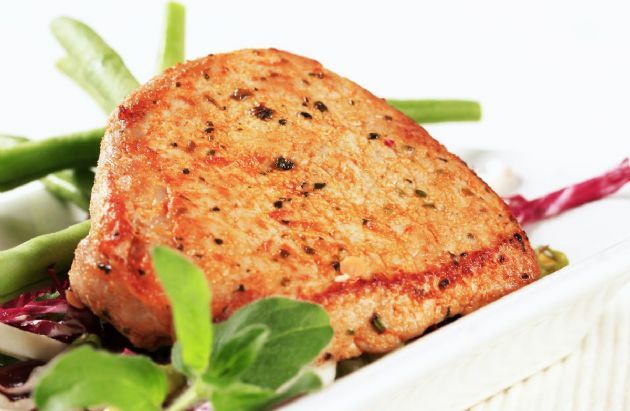 This is such an easy recipe for boneless pork chops--just three ingredients! This is such an easy recipe for boneless pork chops--just three ingredients! Mix mustard and sugar. Pour over pork chops. Bake at 350 for 25 minutes.